So, you haven’t tried any casino game from Yggdrasil Gaming before? Well, that is fine since you are already here and willing to explore. 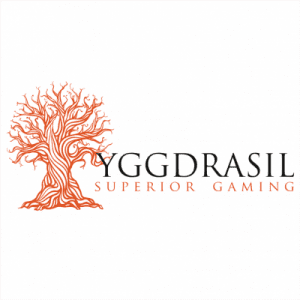 Since you are interested in the best casino game providers in the iGaming industry, you should not miss this chance to get to know Yggdrasil Gaming better. As a matter of fact, you are lucky since I will not only share to you the background of Yggdrasil Gaming, but also the company’s leading casino games! This means that you no longer have to use your precious time browsing the internet and searching for the best games created by Yggdrasil Gaming. Let me handle everything so you can just sit back, relax, and enjoy reading. So, why don’t we start to basics shall we? For those online casino enthusiasts and those who have been playing online casinos for a long time, Yggdrasil Gaming is no longer an alien name. As a matter of fact, you can almost see signs of Yggdrasil Gaming in almost all online casinos on the internet. What can I say; it’s a really popular iGaming software provider that is based in Malta. Founded in 2013 by the previous CEO of another huge company named NetEnt, Frederick Elmqvist established Yggdrasil. With all the knowledge and experiences that Yggdrasil Gaming’s founder has, it’s not surprising anymore to know how this company became a huge name in the industry. Seeing its name alone, you can easily tell how the people behind the company have planned and envisioned everything. From the day the company received its first-ever license in 2013, up to its recent milestone which launched Yggdrasil Dragons last 2017. 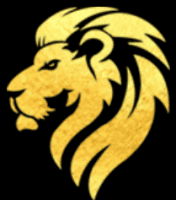 Yggdrasil Gaming together with any of its parent and affiliate company is regulated by the most respected and trusted authorities in the gambling industry. Since Yggdrasil Gaming got its first license, it’s been committed and true to its word that every action that the company takes is according to the rules and regulations. Furthermore, Yggdrasil Gaming also made sure that all its players experience safe and fair gameplay at all times. Minors and defenseless players are also covered by proper procedures and strict policies. If you are worried about meeting criminals while you are hanging around online casinos to play Yggdrasil Gaming games, you can play freely. No need to worry about losing your money for being tricked because the company made sure that all its game and gaming platforms can’t be reached by intruders. In fact, the company’s Information Security Management System is monitored and audited every year by credible and independent auditors. This is to ensure that the data is intact and untouchable to protect the company, its games, and its avid players. Yggdrasil is regulated by Malta Gaming Authority, GB Gambling Commission, Gibraltar Regulatory Authority, and National Gambling Office. 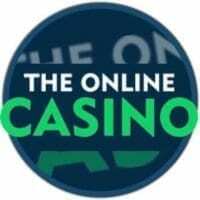 Thus, the company is also awarded the multiple licenses that include: Class 4, 2 Remote Casino (B2B), Gambling Software – Remote, Remote Gambling (B2B), Class 2 – activity of producing and/or distributing software designed for gambling, and Class 2 – activity of providing management and hosting facilities on game platform. Though it is quite clear already how Yggdrasil Gaming was able to lead the iGaming industry using a top of the line technology, the company still continues to innovate its products. Yggdrasil uses an advanced software platform to support blackjack, video slots, jackpot and mobile games as well as lotto, online scratch cards, and keno. From amazing 3D games, Yggdrasil always has something special to surprise its customers by introducing extra ball features, round multipliers, auto play mode, and so much more. Featured in Yggdrasil Gaming’s official video, there is no way you should be able to resist checking out this online video slot. Jungle Book slot has 5 reels and 58 to 68 pay lines where everything you will see in the slots’ theme is based in the famous Disney animated movie with the same title. Thus, the characters in the story include a boy named Mowgli, and his jungle friends who are Bagheera, Baloo, Kaa, and Share Khan. If you’re ready to explore the jungle with these 5 characters, you can get a chance to win up to 45 winning combinations. Once you enter the game, you will be welcomed by the 5 character in their own realm where you will be offered unique additional features. Depending on the realm you want to choose, the 2 features you will vary. Overall, you will get 10 additional features from the characters and a chance to get 45 more combinations along the game. A realm quest may also appear on the right side of the slot to put one of his features on the reels. This is called a triple feature winning combo. For instance, if Baloo is your host, 2 of his features will be included on the reels. But if another host stops by for a while, 1 of his features will be included too which gives you more features to win. Taking a sneak peek in one of the characters’ additional features, Mowgli has the Synced Reels which turns its adjacent reels on the same line into Synced Reels. This means you will get identical symbols. The Spreading Wild is activated every time the Wild appears on the reels to add 1-2 more Wilds. Be sure to try this game to know first-hand the offered features of all 5 hosts! Do you want to go back to the Stone Age? Then, come on and hang out with us to discover Yggdrasil Gaming’s Gem Rocks. Gem Rocks video has 6 reels and 4 rows which can give you up to 4,096 ways to hit the winning combinations! Recently released this 2018, Gem Rocks sure knows how to captivate casino players by offering fantastic features. The overall impression of players is very positive. Gem Rocks’ gem hearted stone monsters will also help players like you to hit a winning combination as big as 9,000 times of your bet in just a single spin. Unlike other video slots, there are no Free Spins in Gem Rocks. However, you can take advantage of its abundant ways to hit the winning combos because of the Dropdown Wins. Each time you get a winning combination, the winning symbols will automatically vanish to make room for more symbols and winning combos. Moreover, Dropdown Wins feature is connected with Gem Rocks’ other feature called Monster Rocks. If you form 2, 5, or 9 successive Dropdown Wins, you will activate the Monster Rocks feature on the left side. You just have to keep the good game going to hit 2×2 after 2 wins, 3×3 after 5 wins, up to 4×4 after 9 wins which provides the biggest prize. The more successive wins you get the bigger the Monster Rock gets and its associated prize. Though this slot has a fixed 50 coins bet, you can change the coin value to as low as £10. The highest coin value you can bet in a single spin is only £50 so it’s a really cool video slot. Are you a fan of wrestling machos? If you are then you should check out this new video slot from Yggdrasil Gaming. Recently released last April 24, 2018, Lucha Maniacs is currently one of the freshest slots that top the online casino charts. It is based on authentic Mexican wrestling machos that is set in a small town. Packed with exciting prizes and features, you can enjoy Lucha Maniacs with its 5 reels and up to 20 pay lines. Whether you are a seٖñora or a señor, the slots’ 4 wrestling machos can keep you entertained and satisfied with lots of prizes. The first feature of Luca Maniacs is the Poster Bonus where you have a chance to pick one poster and win 20 to 80 coins. You can also activate the Free Spins together with the slots’ 3 more Bonus features. Getting 3, 4, or 5 Bonus Scatters will activate lots of perks where you will get 7, 15, or up to 30 Free Spins + the 3 Bonus features. For instance, once you activate the Golden Bet, you will get 1 more Bonus feature which comes from a set of tickets. You can win 2 to 4 perks, 1 sticky wild at the center of 1 of 3 middle reels, 1 to 2 random Wilds for every spin, 1 wrestler as a Wild symbol, 1 wrestler in stacks, 1 tag team wrestler which consists of 2 wrestlers symbols that were combined as 1 and 3x multiplier on one of the 4 wrestlers. 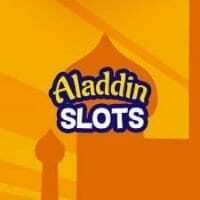 The best about this video slot is its combo prizes where you can get more Bonus features as you get more Free Spins. You will never run out of prizes here as long as you keep on getting Free Spins! If you want to explore something magical as a how a man turned into an owl, Ozwin’s Jackpots is the video slot for you. The main character of the game Ozwin is stuck in an owl form after being cursed. Despite being a “mighty magician”, Ozwin still needs some help from his apprentice to collect all the missing crystals and restore his original form. All players who will lend a hand to collect the crystals will be given rewards. As a matter of fact, all players like you can win up to 5 different jackpot prizes + Jackpot Free Spins and 1 Spellbook Bonus Game. Join them now in an adventure in 5 reels with 20 pay lines that are fixed. To activate the Spellbook Bonus Game, you have to get 3 or more Spellbook Scatters. Once this feature is activated, you can choose from 18 Spellbooks to get coin prizes. You can also get the hidden Crystals that you have to collect. Until you open all Spellbooks or reveal the Evil Spell in one of the Spellbooks, you can enjoy this feature. When it comes to the Free Spins, you can activate it in 2 ways. First, you have to get 3 or more Blue Orbs to get 10 Free Spin. Second, you can to collect 5 Free Spins Crystals that contains 10 perks and 1 Jackpot Orb. Take note that there 5 different Crystals called Novice, Mystic, Apprentice, Archmage, and Wizard that are all linked to 5 Progressive Jackpots. Based on the Crystal you can get, you have to fight for the Progressive Jackpot while the Free Spins feature is up. Your only chance of getting the Jackpot Orb is during the Free Spins feature so you better collect 5 identical Orbs to win in the Progressive Jackpot. Lastly, all Free Spins are multiplied by 3 so you can win more. Do you believe in aliens? How about a quick news that aliens are among us? In Reptoids video slot, this is the current situation that you will encounter. Aliens are now the biggest problems of the humanity and it’s a great challenge to spot them since they’ve successfully mixed in the society. If the alien you are looking for is hidden in a human form, I doubt if you’ll be able to hunt them down easily without getting close examination. Get hold of the Repto Detector now by trying this video slot with 5 reels and up to 20 pay lines. No worries, you can play it in all kinds of devices as long as you have a good internet connection of course. To enjoy the Free Spins feature, you have to get at least 3 Scatters on the reels to activate it. Reptoids slot players can win up to 7 perks but that doesn’t end there because players can also get loads of Sticky Wilds. When it comes to the alien hunting, Yggdrasil made sure that players have an access to a tool that will guarantee your success to spot them. However, the additional toolkit will only be available once the Free Spins feature is activated. If you’re lucky and you’ve got 2 high paying symbols that turn into Wild symbols during while on perks, you will get 2 more Free Spins. Moreover, the remaining identical symbols on your reels will automatically turn into Wilds as well. That sure is a generous feature from Raptoids video slot so don’t forget to grab all the possibilities while playing this. Believe it or not, you can get astonishing payouts in this slot by getting tons of Wilds on your reels. Keep the Wilds coming! Have you seen a pot of gold before? Some people believe that if you want to look for a pot of gold, all you have to do is find a leprechaun. You know, the short guys with the usual all green outfits, from the top of their hat and down to their pointed green shoes. So, if you want to rock the world and get rich, you can get on the roll and join Rainbow Ryan. This “small but terrible” rock star will do his best to entertain you and make you rich. From the land of Emerald Isle, you can enjoy this video slot with 6 reels and up to 4,096 ways to hit the winning combos. Don’t miss a thing as the Rainbow Reels spin to make sure all your bet will not be put to waste. As mentioned above, Rainbow Reels is the first feature that you have to expect in this video slot. Unlike other video slots, the Rainbow Reels feature can be triggered in different ways. In fact, you can take advantage of this feature during the Free Spins feature and base game. 2 to 6 reels can be matched randomly depending on Ryan’s mood so be sure to watch him closely. The better mood he’s in the better results you can expect on your reels. Once the reels are matched, you will get identical symbols to increase your chances of winning bigger prizes. You need to get at least 3 Amplifier Scatters to activate the Free Spins Mode. Activating the Free Spins Mode will give you 7 extra spins, 5 Scatters to give you 15 more Free Spins, and 4 Scatters which contain 10 freebies. If you get all 6 Amplifiers on your reels, you will get additional 20 cool perks. Prizes after prizes, how cool is that? But wait, there’s more. Since the Rainbow Reels feature is active during the Free Spins, you will certainly get at least 2 synced reel in each perk. Though Yggdrasil Gaming is indeed more known for producing high-quality video slots, Yggdrasil is still a top competitor that is hard to beat. In fact, one of the latest breakthroughs that Yggdrasil successfully launched was Sonya Blackjack Going through the leading companies in the iGaming industry; Yggdrasil Gaming never leaves its spot as one of the game providers that casino enthusiasts love. It’s not only because Yggdrasil’s creations are always above people’s expectation, the company knows how to catch people’s interest and keep them hooked in. With innovative and revolutionary games, Yggdrasil will surely dominate more online casinos out there. There are only two Yggdrasil slots with a progressive jackpot, Joker Millions and Holmes And The Stolen Stones. 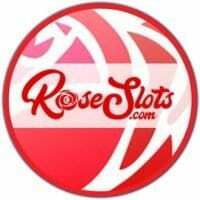 Rest of the Yggdrasil jackpot games are lottos and scratch card games. The complete list of Yggdrasil jackpot games and biggest wins below.